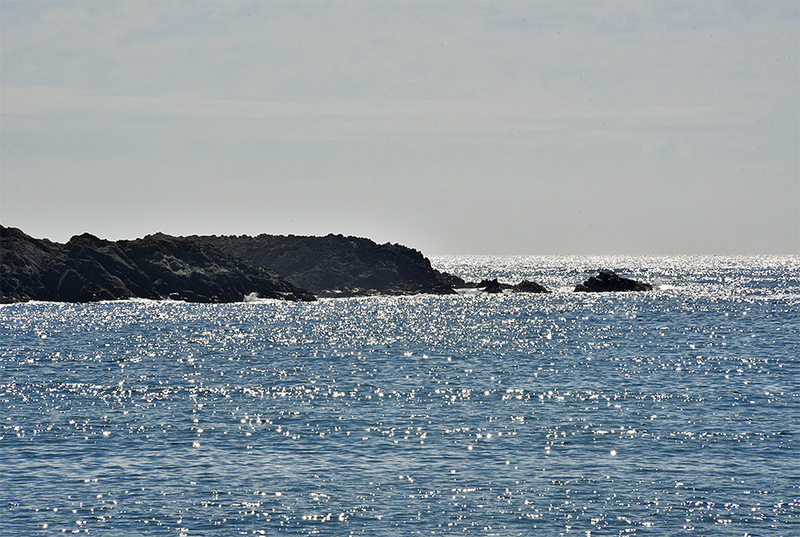 A beautiful sunny June afternoon on Islay, the sun reflecting on the sea, some cliffs stretching out into the Atlantic on the west coast. 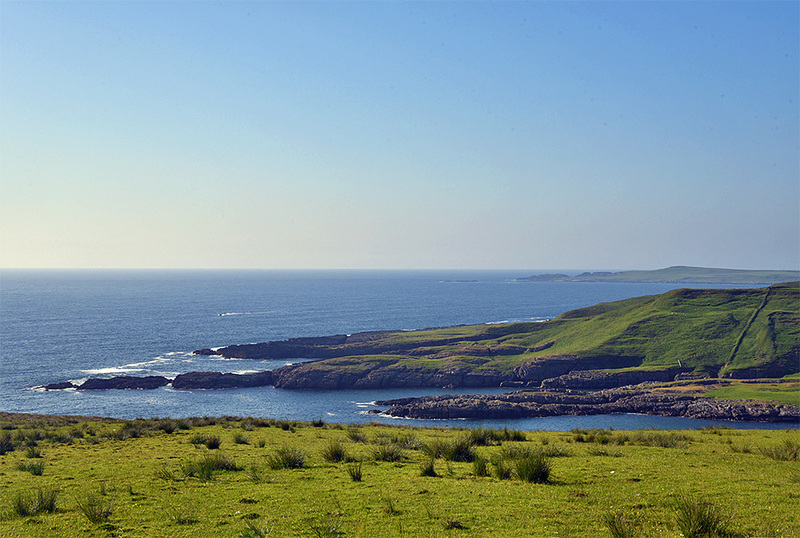 The view north along the coast at Kilchiaran Bay (front) and Machir Bay (behind the hills, Coull Point in the distance) on the west coast of Islay. 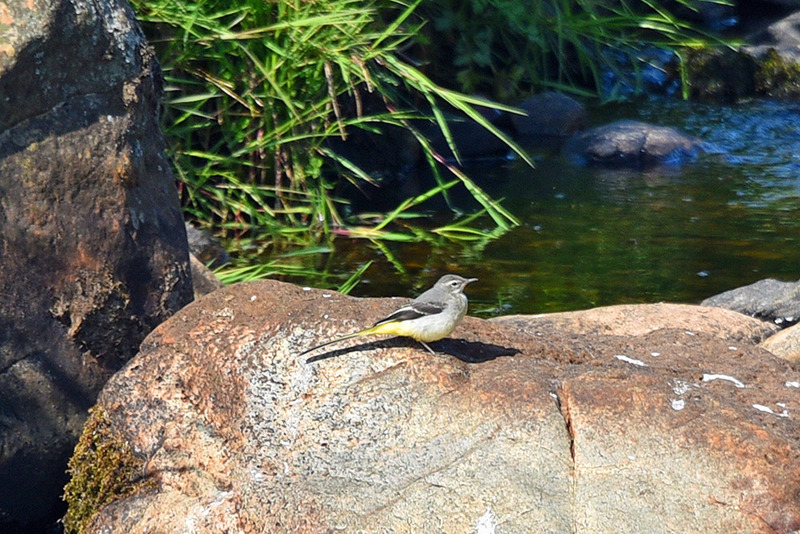 Not only was there a Pied Wagtail at Kilchiaran, I also spotted a Grey Wagtail.